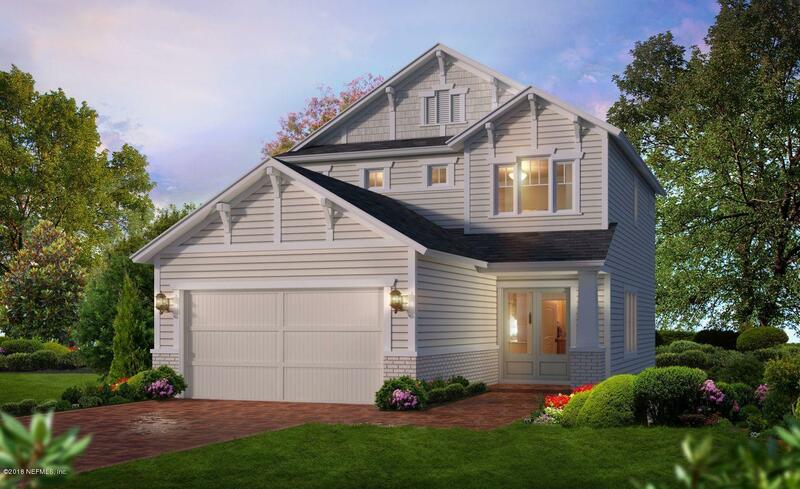 The Roosevelt floor plan is the perfect balance of openness and private space in one home. The double front door entry opens to the dining room and kitchen beyond. Just off the entry is a fourth bedroom and full bathroom, great for guests or a private study. The luxurious kitchen is a chef's dream equipped with a gas cook-top and built in microwave and oven in a separate tower. bright and cheery white cabinetry and stunning gray granite finished off with subway tile backsplash is quintessential coastal elegance. Plenty of under the stair storage. Grill out on your covered lanai overlooking gorgeous sunsets with an east facing view. 250 Vista Lake Cir is a 2,173 (*estimated) square foot home with 4 bedrooms and 3 bathrooms located in Ponte Vedra FL, ST. JOHNS County. This property is listed for sale at $398,575 and is currently active and accepting offers.